Washington Ignores Saudi "Involvement in Supporting Terrorism and Terrorist Groups"
Saudi Arabia is the second largest source of ISIS fighters from Muslim-majority countries, with an estimated 2,500, according to a working paper produced by the National Bureau of Economic Research. According to a report by the Institute for Gulf Affairs, a whopping 16% of these fighters were in the U.S. when they joined ISIS. An equally disturbing finding of the report is that the Saudi government, which has been monitoring its nationals in the U.S., is fully aware of the fact that many of them are joining ISIS and not only has done little to stop it, but has kept information about it from American authorities. A new investigative report reveals that hundreds of Saudi and Kuwaiti nationals residing in the United States -- many of them students with dual citizenship and receiving government scholarships -- have joined ISIS and other terrorist groups in Syria and Iraq during the past three years. Titled "From American Campuses to ISIS Camps: How Hundreds of Saudis Joined ISIS in the U.S.," the report -- released June 1 by the Washington-D.C.-based think tank the Institute for Gulf Affairs (IGA) -- provides details of the flow of students leaving American institutions of higher learning to fight in the Middle East. 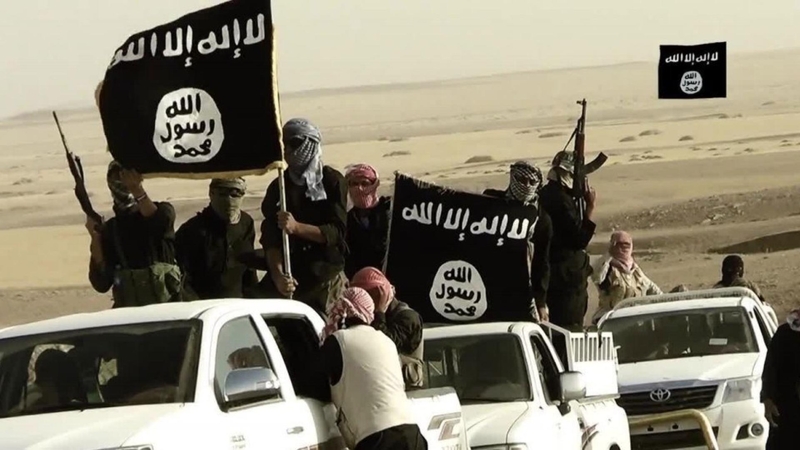 According to a 2016 working paper produced by the National Bureau of Economic Research, Saudi Arabia is the second largest source of ISIS fighters from Muslim-majority countries, with an estimated 2,500. If the IGA report is accurate, a whopping 16% of these fighters were in the U.S. when they joined ISIS. This completely contradicts the 2014 State Department assertion that "Saudi Arabia has continued to cooperate with the United States to prevent acts of terrorism ... through information exchange agreements with the United States." Meanwhile, according to the report's authors -- IGA director Ali al-Ahmed, a Saudi Shiite expatriate critical of the Sunni regime in Riyadh, and researcher Mohamed Dhamen -- the FBI failed to notice the steady stream of would-be jihadis exiting the U.S. and heading for Iraq and Syria in the three years since then. This failure should not come as a surprise, given that one of the FBI's own employees -- Daniela Greene, a translator with top security clearance -- absconded to Syria in June 2014 and married an ISIS recruiter she had been assigned to investigate. The rogue agent lied to the FBI about where she was going, alerted the terrorist that he was the subject of an FBI probe and shared classified information with him. "I'm troubled that a relationship between an FBI employee and a prominent ISIS recruiter went unnoticed, and more troubled that there wasn't a safeguard to successfully catch this incident... It's important for the public to understand how this happened and how similar problems will be prevented in the future. We also need to know how prosecutors settled on the charges in this case. A sentence of two years seems unusually light for such a potential threat to national security." Greene's case sheds light on the findings of the IGA report and its claim that Saudi influence on American administrations, and relationships between senior officials in both countries, is behind Washington's ignoring Riyadh's "well-established... involvement in supporting terrorism and terrorist groups." The number of Saudi students in the United States in 2016 reached 125,000, the "most in the world," according to a June 14 Arab News report. Those who leave to join a terrorist group and subsequently return -- enabled by their U.S. citizenship, combined with lax monitoring of and leniency with them -- present a clear and present danger to America's home front. "Foreign fighters traveling to Syria or Iraq could... gain battlefield experience and increased exposure to violent extremist elements... they may use these skills and exposure to radical ideology to return to their countries of origin, including the United States, to conduct attacks on the Homeland." The IGA report, covering the three-year period since then and including extremely serious charges against both Saudi Arabia and the previous U.S. administration and security officials, indicates the urgency with which the current administration needs to treat the issue and act upon it. American blood is at stake. ISIS fighters, featured in a propaganda video by the group. That is to be expected from a Saudi's White House-boy and a Congress well paid and beholden to Saudi Arabia. Well, Trump was just over there kissing Saudi keesters, so don't expect that anything will be done any time soon. Sounds like most US politicians/government drones are in synch with their soul brothers in Europe and UK - sell out your own people, anything for a buck. The Democrats will never allow President Donald Trump to do anything about stopping those who would destroy America. The Americans try and stop those from Islam from entering and the Democrat Judges rule against this President's preventive action. The hue and cry from all socialists paint President Trump as the fall guy when it is the left's extreme hatred for President Trump that feeds the Islamic terrorist activities. ISIS leaders must laugh their barbaric asses off at the Americans. At present, due to the Democrat hatred for Trump, they stop all efforts to weed out the foreign university students in America and to stop Muslims from entering the US until they can vetted properly. ISIS continues to terrorise the world and it appears the Democrats support this just as Obama did during his term(s) in office. The Democrats, the socialists and those who do not contribute now have the Canadian Prime Minister Justin Trudeau to assist them as he accepts what ISIS does around the world. Trudeau has stated that Islam is only doing what is in their right to protect their culture. Any opposition against the support of Islam is labelled as being a Racist and spreading Hate. The Arab and Islamic markets are so appealing that Americans ignore that most of the Islamic terrorists of 9/11 were Saudis. So ignoring that Saudis finance mosques manufacturing Islamic terrorists like Detroit manufacturing cars is ignored since Trump can sell them a few $$$ billion in armament. Nothing should get in the way of this great Trump deal. The Arab markets loom large so watch out for the next Trump "deal," The PA/ Israel peace negotiations. I'm not sure that President Trump allows his possible personal gains to cloud his thinking regarding his attempts to make America safer and greater for it's citizens. As a Canadian I think Donald Trump is trying to do what is required to give America a wake up call and clean out the Democrat Swamp in America. The results of the Georgia by-election shows he is gaining support of "most" of America's clear thinkers. Democrats (the socialists) are still trying the blame the results of the 2016 presidential election on the deviousness of the Republicans. They cannot accept that the ruination of America was largely caused by Obama, Clinton and the Democrats and Trump is trying to pull America back from the brink. During the Clinton and Barack Obama reigns in government positions their personal wealth have risen to hundreds of millions of dollars.